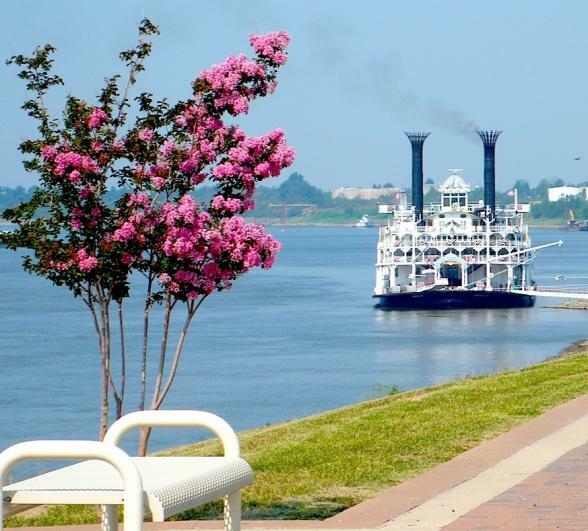 An Upper Mississippi River cruise is a journey to the heart and soul of America, back to a time when life moved a little slower and riverboats slowly churned the waters. 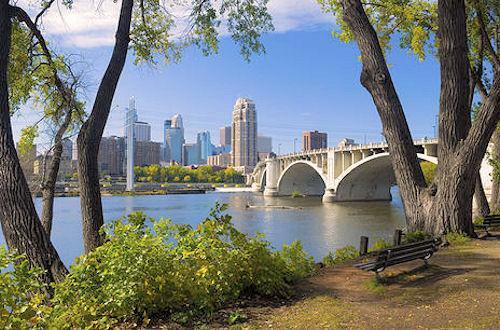 On this leisurely voyage from the dynamic town of St Louis to the twin cities of Minneapolis & St Paul you'll discover picturesque scenery, abundant wildlife and hidden gems. Sit back, relax and watch the very best of America's Heartland unfold in front of you from the deck of the world's most grand paddle streamer. 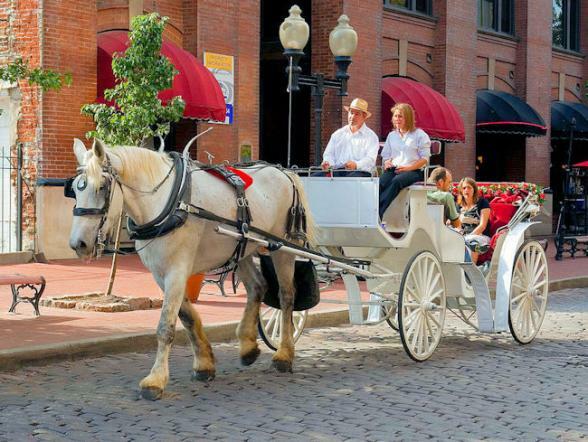 Arrive in St. Louis early evening and enjoy a private transfer to your luxury hotel. 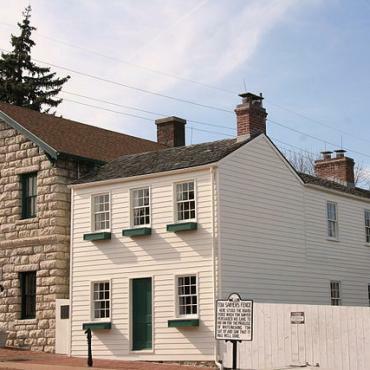 This fascinating city dates back to 1764 when Pierre Laclede Liguest, recipient of a land grant from the King of France, and his young scout Auguste Chouteau, chose the site of St Louis as a fur trading post. The following year they built a village and named it after Louis IX of France, the rest is history. In the evening head for Lacledes Landing, the original site of the village built by Liguest and Chouteau, this historic area is now home to unique restaurants, bars and Blues Clubs. 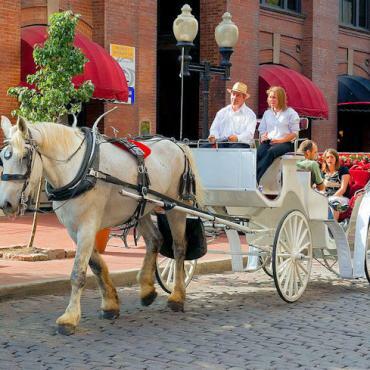 Enjoy romantic carriage rides along the cobbled streets, breathtaking river views, historic architecture, delicious food and exciting nightlife. 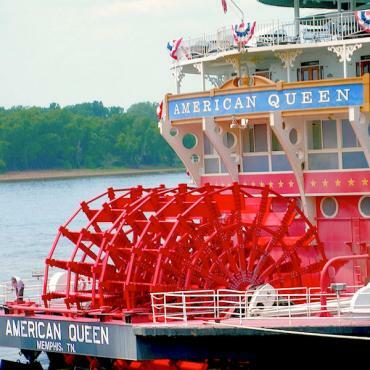 You have a free day today in St Louis before you board the American Queen for your Upper Mississippi River cruise which departs at 5pm. No visit to St Louis would be complete without a visit to the Gateway Arch. In 1935, the federal government selected the St. Louis riverfront as the site for a new national monument honoring the pioneers who explored the American West. After a nationwide competition the design for a giant stainless steel arch was chosen as the winning entry. Construction on the Arch began in 1963 and was completed in 1965. Rising 630ft from the banks of the Mississippi, a journey to the top of the Arch is a must-do. Here you can enjoy awesome views over the city for up to 30 miles. The Museum of Westward Expansion is located under the Arch. 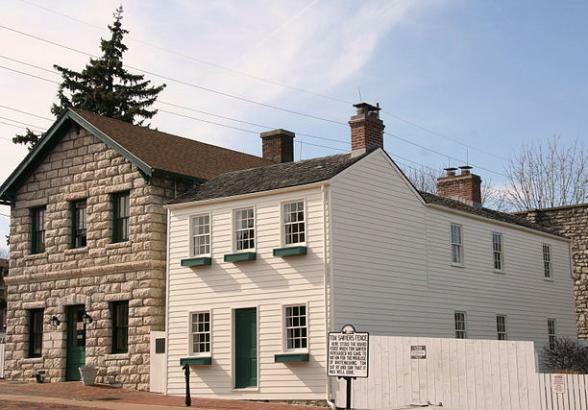 This free museum features exhibits on Lewis & Clark and 19th century pioneers who moved America’s borders westward. Just across the street from the Arch is the third part of the Memorial, the Old Courthouse. This historic building was the site of the famous Dred Scott slavery trial. Today, you can tour restored courtrooms and galleries. 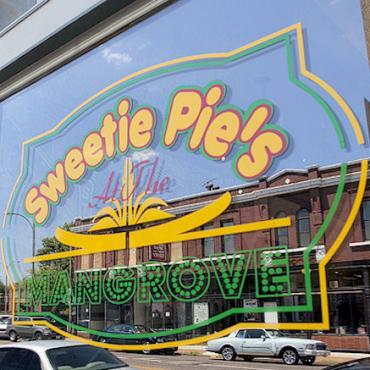 To experience a real taste of St Louis, we recommend checking out the Blueberry Hill Restaurant, Sweetie Pies and Ted Drewe's Frozen Custard stand. Afterall, you are on holiday and calories don't count. Bon Voyage would be delighted to arrange private bespoke tours of St Louis, if you so wish. Please call for further details. Boarding for the American Queen will commence mid-afternoon and the first evening you'll enjoy a Welcome Dinner. Today, is a relaxing day cruising Ol' Man River. 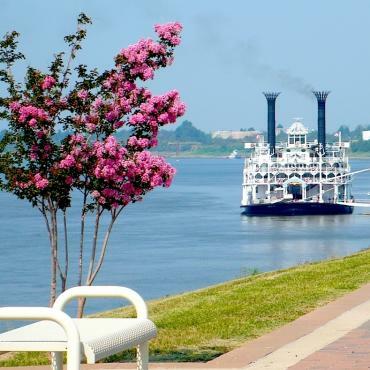 Mingle with new friends, enjoy a refreshing dip in the pool, sip cocktails on the deck and enjoy the scenery as you cruise gently along the Mississippi towards Hannibal. After a relaxing day cruising it’s time for your next port of call, Hannibal. Known as America’s Hometown, this quaint town keeps the days of Mark Twain well and truly alive. On your tour on the Twainland Express you’ll experience Hannibal through the eyes of Samuel Clemens, AKA Mark Twain. You’ll begin with a journey back in time to the Golden Age of railroading at the Big River Train Town before heading to The Mark Twain Boyhood Home and Museum where you’ll learn about this literary icon. Next, it’s a spot of wine tasting in the Cave Hollow Complex, where you'll also be able to explore the caves where Tom and Becky were lost in the Adventures of Tom Sawyer. 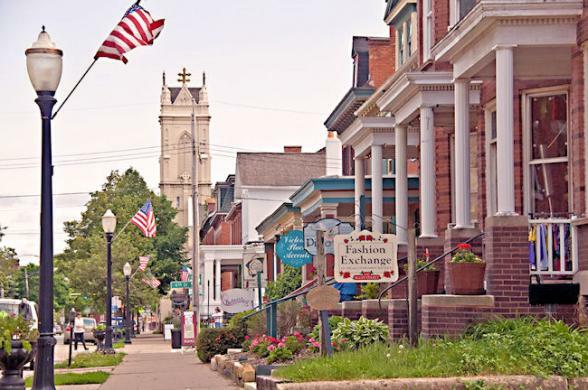 Before boarding the American Queen for an early evening departure there will be time to check out Hannibal’s Historic Main Street which boasts eclectic stores, cosy coffee shops and period buildings. 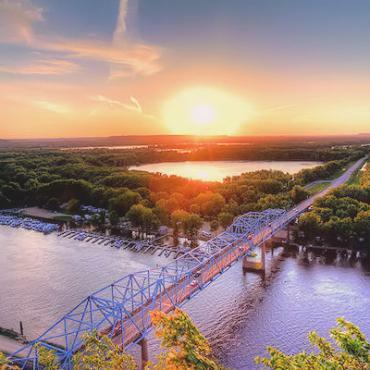 With the beautiful backdrop of the Mississippi River lies the city of Clinton. Located between Lincoln Highway and the Great River Road it is the most Eastern point in the state of Iowa. 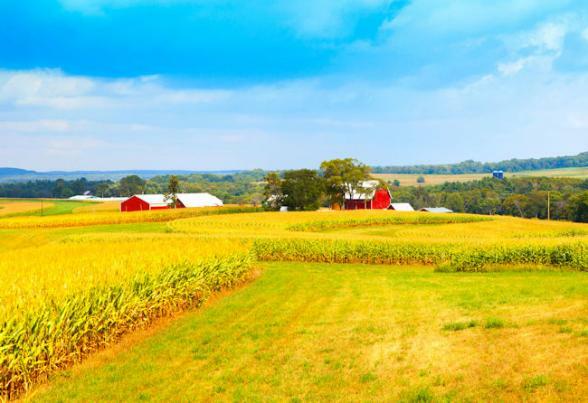 With its rich soil and many old sawmills agriculture definitely plays a big part in Clinton's economy, clearly visible in the beautiful rolling hills and fresh harvest crops which produces so much corn it has been called the 'Corn State'. 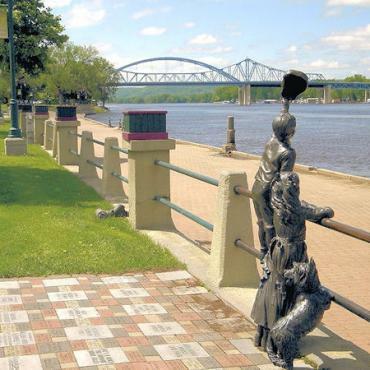 Your next port of call along the Mississippi is Dubuque, here the flags of five nations have flown over a city that lives and breathes river lore. Your tour today of Dubuque will include visits to Short Tower, a seven story structure built to produce lead shots for the civil war and the impressive Tiffany stained glass windows at St. Luke’s United Methodist Church. Next on your tour is the Dubuque’s Museum of Art, and the Fenelon Place Elevator where you'll enjoy a bluff-top view of the Mississippi River and downtown Dubuque. You'll also get to visit the oldest and most grand of more than 16 legitimate theaters which served the community; the Grand Opera House. Lastly you'll visit the Dubuque County Jail, which once housed the notorious Butch Cassidy who allegedly robbed the local bank. 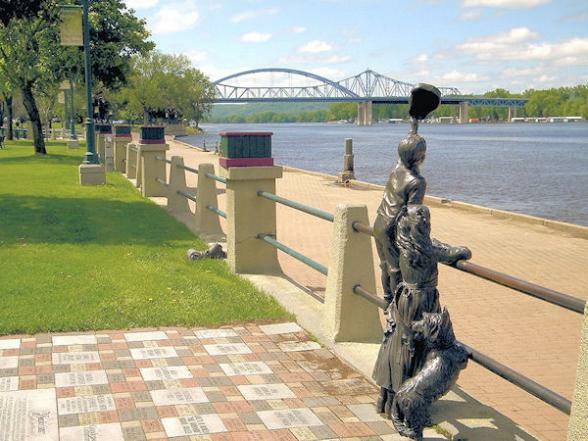 Resting on the banks of the Mississippi, La Crosse was established during the mid 1800s and is steeped in history. 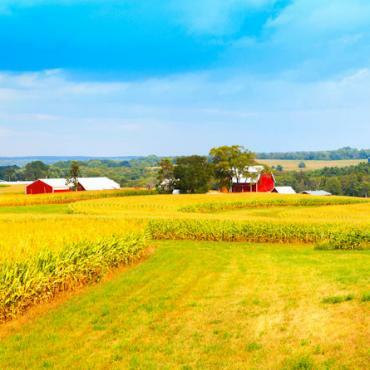 This part of Wisconsin is referred to as God's Country due to its towering bluffs, the mighty river and picturesque beauty. In the heart of the city is Historic Downtown La Crosse which is listed on the National Register of Historic Places and is a joy to stroll around. You'll enjoy this charming area of the city as part of your tour today. 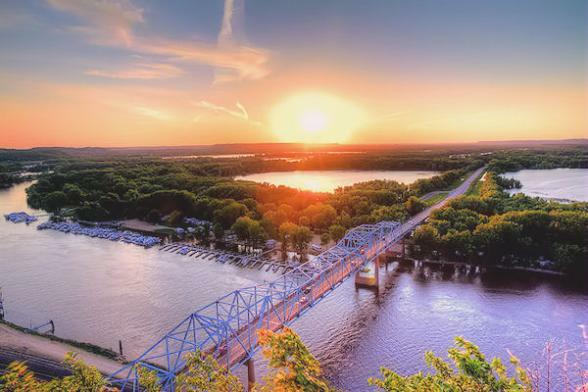 Nestled on the banks of the Mississippi under towering limestone bluffs the town of Red Wing, Minnesota is your next stop. Recently Red Wing was awarded the accolade of one of "The Best Historic Places in the World" - by National Geographic Magazine. "A wonderful river community that still has the charm of a small community .One can go boating on the river, and there are lots of interesting shops. The food was classic Midwest. One gets a profound sense of town life in middle America, especially pre-1950s." 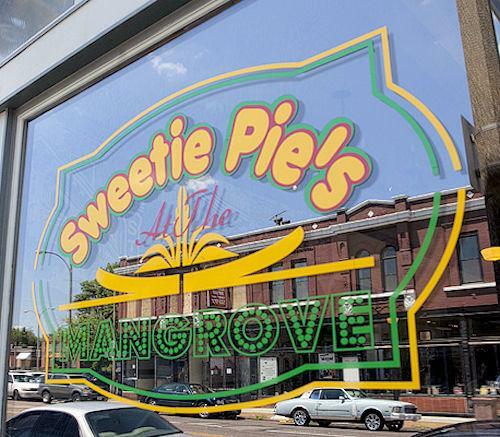 Your tour today includes a stop at the Pottery Place District where you'll be able to stroll around the antique stores, gift shops and eateries. This is followed by a visit to the Sheldon Theatre; the country's first city-owned theatre, which showcases the best in arts and entertainment from Minnesota's heartland and beyond. 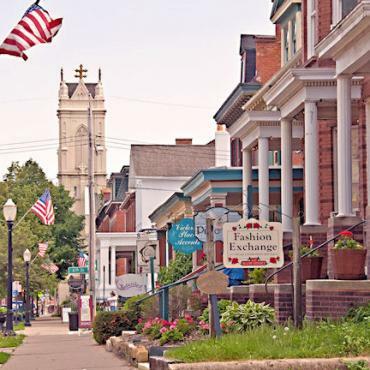 You'll end the day at the Bush and Main Street Shopping District where you'll be able pop into the historic St James Hotel, view local art exhibits or visit the Native-American store. 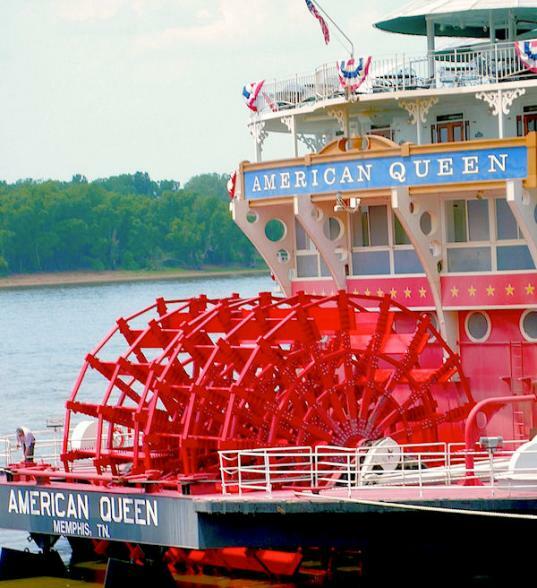 Disembark the American Queen after breakfast and enjoy time at your leisure in the twin cities of St Paul & Minneapolis prior to catching your early evening flight back to the UK. 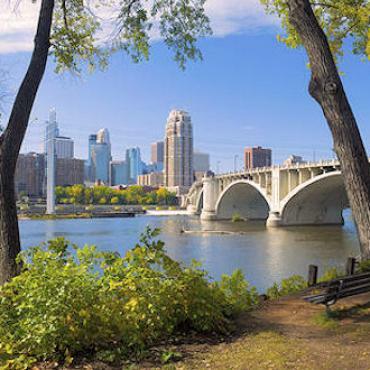 Minneapolis and Saint Paul are known as the Twin Cities, but they are not identical twins by any measure. Saint Paul is the capital city and home of Minnesota state government, with stately buildings and historic sites. Minneapolis is the larger of the cities, and features modern buildings and lively entertainment, restaurants and shopping. With more live theatre seats per capita than any U.S. city except New York, it’s no wonder that the Minneapolis-Saint Paul area enjoys a national reputation as a cultural capital. In addition to theater, 10 dance companies, 30 classical musical groups and 60 museums are in the Minneapolis-Saint Paul area. Highlights include the world-renowned Minnesota Orchestra, the Guthrie Theater and the Walker Art Center, a top modern art museum in the world. Minneapolis is home to restaurants known nationally, with James Beard Award winners and finalists cooking up a variety of remarkable cuisine. Complement that dinner with a show at one of many renowned theaters, boasting everything from Broadway-touring shows to up-and-coming underground productions or enjoy some live music at a downtown nightclub. Minneapolis is a perfect blend of urban chic and natural beauty, creating a city where outdoor fun is minutes from your door. Walk to places like St. Anthony Falls and the Stone Arch Bridge to see beauty normally reserved for postcards. Rent a Nice-Ride bicycle and ride around one of the lakes located minutes from downtown. Shop til you Drop at the massive Mall of America; with 520 stores and activities, it is the largest shopping and entertainment complex in the U.S. and an added bonus, there is no sales tax on clothing or shoes in Minnesota. Getting around the area is easy thanks to a light rail train that runs from the MSP Airport to Mall of America and Minneapolis and also runs to Saint Paul. Enjoy escorted city sightseeing tours, or tour the cities on your own schedule—Minneapolis offers a variety of attractions for every visitor. This is the end of your cruise, however you may decide to extend your stay and perhaps spend a few days enjoying more of America's great cities, maybe a stop over in Boston or New York? Call the USA travel specialists at Bon Voyage to discuss your perfect American Queen River Cruise - Upper Mississippi - St Louis to St Paul tour.